When first choosing a smokeless cigarette, the consumer must decide whether to go with a disposable e-cig or a starter kit. Disposable units are typically the better choice for the beginner who seeks to determine whether or not vaping is an alternative of interest. For those who have decided to stick with vaping, a starter kit is generally the better way to go. A starter kit includes a non-disposable e-cig that operates using the power of a lithium-ion battery. These batteries are rechargeable and allow for continued use of the e-cig using replaceable e-juice cartridges. The traveling smoker increasingly finds that alternative smoking methods are more practical than traditional cigarettes in today's world. 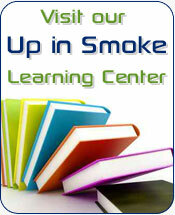 E-smoking is permitted in many places where cigarette smoking is not. When traveling with a vapor cigarette, the starter kit is often the convenient choice. It is advisable to travel with extra batteries. A second battery will be needed in order to use the e-cig while the other charges. A third is handy in case one is misplaced. There are a couple of options to consider when choosing an e-cig battery. Manual batteries hold a charge about 25 percent longer than automatic batteries and only engage when a button is pushed on the e-cig itself. This preserves the charge for longer vaping time. Automatic batteries engage immediately when the e-smoker takes a draw. Many appreciate the convenience of this feature, though it does sometimes lead to wasted charge. As a countermeasure, automatic batteries are equipped with a mechanism that shuts them off after five to six seconds of continuous engagement. Unlike their manual counterparts, automatic batteries are sealed, thus their risk of damage due to leakage is greatly reduced. Smokeless cigarette design comes in two major styles. A single-coil configuration will maintain a battery charge 10 to 30 percent longer than than a device with a double-coil design. Some consumers report greater e-smoking satisfaction with double-coil configurations, while others don't feel that the difference justifies the decreased battery life. Vaping becomes more enjoyable as the consumer gains experience with e-juice blending. Custom blends to suit individual tastes are discovered through experimentation. The e-smoker is encouraged to create his own mixtures blending various flavors and nicotine levels to find the right blend for his vapor cigarette. E-cigarette batteries are constructed of a mix of lithium and carbon materials and utilize contemporary solid polymer conduction technology to store and transmit energy. Solid polymer conductors have replaced the liquid conduction media of older batteries and produce a longer charge life. The basic e-cig battery is a lithium-ion battery with a charge produced by a series of electrodes and separators that are laminated one to another for a continuous conduction response. The resultant charge heats a coil within the unit upon which the nicotine-spiked e-juice is dripped resulting in vaporization. The vaporized liquid provides the "hit" associated with vaping. Smoking is becoming less and less tolerated in public places. After becoming accustomed to a smokeless cigarette, many smokers decide that cigarette smoking is no longer appropriate in their homes either. Conventional cigarette smoking poses a significant fire hazard that is minimized in vaping. The odor of cigarette smoke and the ugly brownish residue of burnt tobacco settle deeply into a house. Smell and discoloration can be detected in the furniture, walls, ceilings and floors of a smoker's home. Cigarette smoke is potentially damaging to electronics in the home. Delicate circuitry doesn't hold up well to smoke exposure. Air-conditioner units suffer as well. Vapor from an e-cig consists primarily of water. Vaping allows smokers to free their homes of the problems associated with indoor smoking.